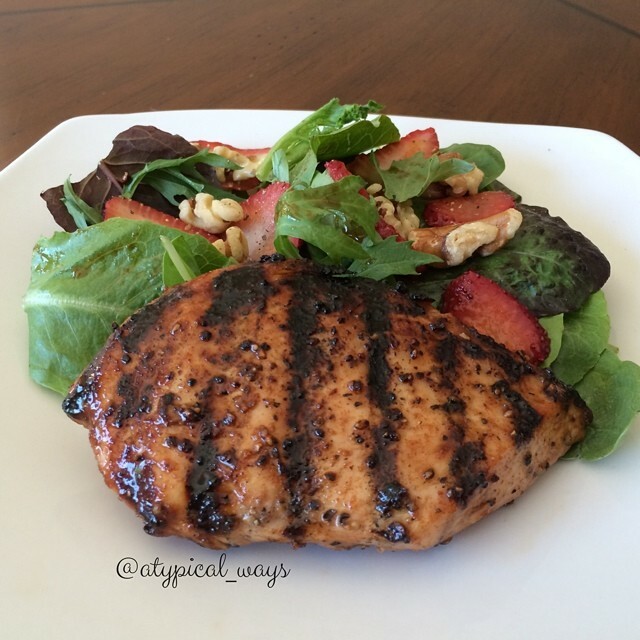 Grilled Caprese Chicken Salad with a Balsamic reduction – 315cal! 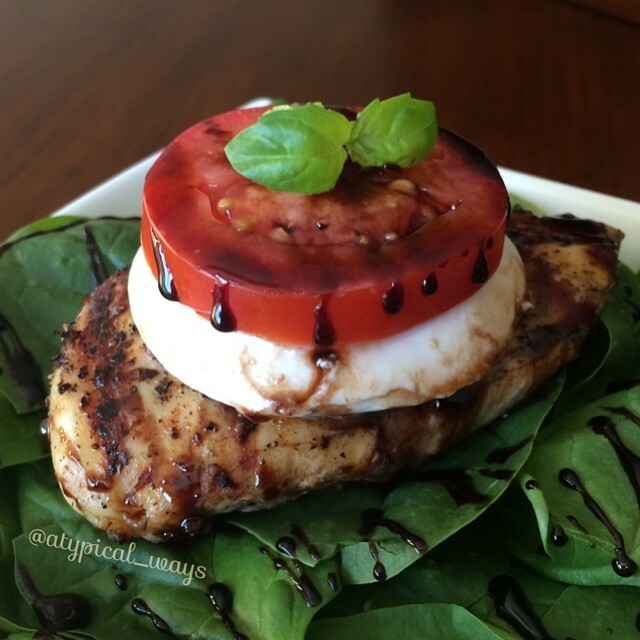 Grilled Caprese Chicken Salad with a Balsamic reduction – 315 calories! In a food processor combine the oil, garlic basil leaves, lemon juice, salt, pepper and blend until pureed. Wash, dry chicken and season it with fresh ground pepper and place in a zip loc bag. Pour the mixture from the food processor over the chicken and allow to marinate for a few hours in the refrigerator. Preheat a grill to medium heat. Bring the balsamic vinegar to a boil in a small sauce pan and then reduce heat and simmer until it becomes a thick syrup, stirring often and making sure not to burn. Remove from heat & set aside. Grill chicken 8-10 minutes per side or until chicken is cooked through. About 3-5 minutes before the chicken is done place the cheese and tomato slice on top of chicken. 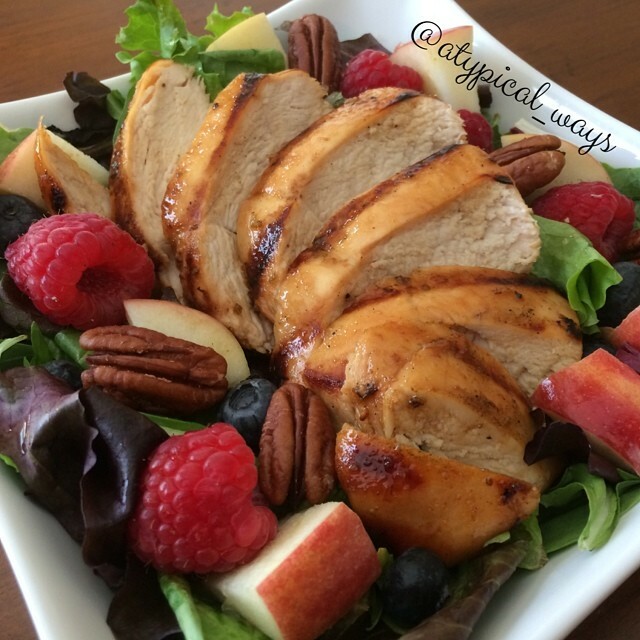 Remove from heat and serve on a bed of baby spinach. Finally drizzle the balsamic reduction over the chicken and spinach.